Soybean growers across the U.S. are the focus of a massive educational effort to prevent a repeat of the dicamba damage issues that occurred last season. The EPA estimates that 3.6 million acres of non-dicamba resistant soybeans were damaged last season when nearby dicamba-tolerant soybean varieties were sprayed with one of the three new formulations of that herbicide. More than 2,200 damage complaints were filed nationwide and sources estimate only 10-20% of the actual cases were reported. A repeat of this situation could result in the EPA refusing to renew the registrations of those products, which are up for review in November of 2018. Last October, the EPA reached an agreement with Monsanto, Dupont and BASF to revise the labels of their respective products—XtendiMax, FeXapan, and Enginia. Those revisions include listing the products as Restricted Use Pesticides and requiring all users to complete a special dicamba-specific training program that outlines heightened regulations on application, timing and record keeping. Some states—including Arkansas, Missouri, Minnesota, Indiana and Tennessee have tightened regulations even more by establishing cut-off dates for use of the herbicides. Soybeans displaying the cupped leaves characteristic of dicamba damage. The challenge of complying with new label regulations is highlighted by the name of Purdue’s training program—dubbed ‘Threading the Needle’. The effort will include nearly 80 one-hour educational programs presented from mid-January through February. Other states are launching similar efforts either on-line or as part of regular extension programing. While state ag departments or universities are handling training in many states, the three herbicide manufacturers themselves are doing training in others. In North Dakota, for example, Monsanto, DuPont and BASF are holding 90-minute training sessions at 17 locations. A list of the various training options can be found at www.roundupreadyextend.org., through local extension offices or from each state’s department of agriculture. The revised labels on the three products greatly restrict the times and conditions under which application can occur. The 2018 label restricts application in winds above 10 mph compared to last year’s limit of 15 mph. A minimum wind speed of 3 mph is also mandated to reduce the chances of tiny spray droplets drifting on a temperature inversion. Application is also not permitted after sunset or before sunrise. Some states have gone on to broaden this nighttime restriction to include morning and evening hours, to limit application in temperatures above 80 and 85 degrees and when the weather forecast is for greater than a 50% chance of rain in the next 24 hours. The label restrictions on these products have many questioning the practicality of using them for post-emerge weed control. Purdue weed scientist Joe Ikley analyzed last year’s weather records for several locations in Indiana to illustrate the problem. “Using last year’s weather records for the month of June from a station near the campus, we found applicators had 184 hours during the month when they could have legally sprayed under the 2017 label. However, under the more restrictive 2018 label there would have been only 44 hours available the entire month and only two days with 8 or more hours to legally spray. This presents an obvious challenge for applicators to get spraying done without violating the label,” he says. Tank contamination was judged to be a frequent cause of dicamba damage in 2017 so tank cleaning is another focus on the new label. Applicators are required to record when and how they clean the sprayer and to retain this record—and others—for up to two years. “There can be 35 to 40 gallons of liquid left in the tank, booms and plumbing of a 120-foot sprayer and only 8 ounces of that solution is enough to injure soybeans and one gallon would cause significant damage,” says Whitford, who recommends the manual Removing Herbicide Residue from Agricultural Application Equipment from the Purdue extension service www.edustore.purdue.edu. Weed scientists generally agree that if applicators are able to comply with the new labels then problems with drift and tank contamination will be reduced. However, many are frustrated that the label changes don’t address the threat that the products may volatilize to form a cloud of vapor perhaps days after application—a claim dismissed by the manufacturers. At the recent meeting of the North Central Weed Science Society, spokesmen from Monsanto, Syngenta and DuPont held to their position despite research information from several universities that indicated otherwise. “In our research we found that vapor came off a field of soybeans sprayed with one of the dicamba formulations for up to 96 hours after application. The concentration was heaviest the evening after the field was sprayed, then it went down overnight only to increase again the next afternoon,” says University of Missouri weed scientist Kevin Bradley. 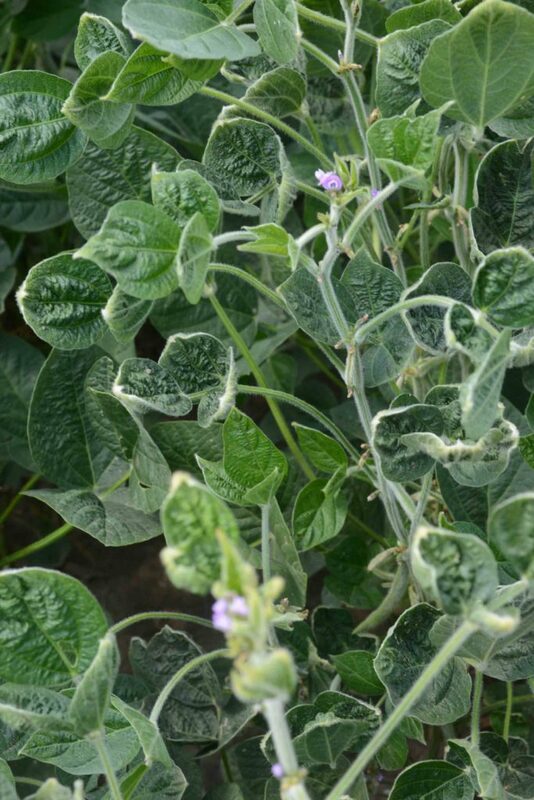 Other research has shown volatilization to be greater above a crop canopy rather than the soil, that soil pH may be a factor in volatilization and that even a rain may not put an end to dicamba volatilization. Fear of the liability applicators may incur from wind and temperature conditions several days after an application is made have led Bradley and other weed scientists to recommend not using the herbicides for their primary purpose—as a post-emerge over-the-top application. “The additional label restrictions and the training will help, but all parts of the industry have to acknowledge that volatility of these products also plays a role and we have to do something about it,” says Bradley. UPDATE: January 24, 2018: Monsanto has announced nearly 250 training sessions sponsored by themselves, DuPont and BASF. The sessions span from Virginia to Arizona and from mid-January through March. Meanwhile, many states have also rushed to undertake the training–Kansas, for example, will have 32 meetings while Illinois will have 79 sessions. The time and location for this training is available on Monsanto’s Roundup Ready Xtend website. Training by Monsanto, DuPont or BASF is not an option in Alabama, Georgia, Indiana, Missouri, Mississippi, North Carolina and Tennessee. Those states require training by instate providers. Arkansas has emerged as ground-zero for the dicamba debate. Last fall, that state’s plant board recommended to the state legislature that the use of dicamba be banned between April 16 and October 31. The legislative council—which serves as the governing body when the state legislature is not in session—sent the proposed ban back to the plant board after Monsanto threatened to file suite to stop it. The plant board recently resubmitted the proposed ban and in mid-January the legislative council approved it. The claim that the ban is arbitrary and unfair to the state’s growers is scheduled to be heard by a judge in Pulaski County, Arkansas in February. Aerial views lend new perspective to farming.